Agriculture, herding, tourism and the mining industry – including mining for gem diamonds, uranium, gold, silver, and base metals – form the basis of Namibia's economy. Given the presence of the arid Namib Desert, it is one of the least densely populated countries in the world. Namibia enjoys high political, economic and social stability. Providing 25% of Namibia's revenue, mining is the single most important contributor to the economy. Namibia is the fourth largest exporter of non-fuel minerals in Africa and the world's fourth largest producer of uranium. There has been significant investment in uranium mining and Namibia is set to become the largest exporter of uranium by 2015. Rich alluvial diamond deposits make Namibia a primary source for gem-quality diamonds. While Namibia is known predominantly for its gem diamond and uranium deposits, a number of other minerals are extracted industrially such as lead, tungsten, gold, tin, fluorspar, manganese, marble, copper and zinc. There are offshore gas deposits in the Atlantic Ocean that are planned to be extracted in the future. Namibia provides the world with a diverse range of products including: the highest quality gemstones, the widest range of seafood, premium meat products, beer, exquisite suede and soft leather and an assortment of hand-crafted chocolates. Namibia’s export and import environment is trader friendly. Its banking facilities are of first-world standard and are supported by superb road, rail and telecommunication infrastructure, not to mention a resource pool of IT professionals. The local jewelry industry is well established and is supported by a high-tech cutting and polishing industry, producing jewellers and goldsmiths that are renowned for their unique and creative craftsmanship. Namibia’s leather is of the highest quality due to the grazing habits of the free-range and hardy cattle, sheep, game and ostriches, seasoned by a harsh land and toughened by an unrelenting climate. Karakul pelts are in demand by top designers due to its satiny sheen and markings which resemble watered silk and is a natural side-effect of the sheep roaming through the Namibian veld. Raw pelts are exported and used by international furriers for the production of high-fashion items such as coats, jackets and waistcoats. Hides processed into Wet Blue are also in large demand for making furniture upholstery. Namibia’s fishing industry ranks among the world’s top 10 – in the same league as Spain, Canada and Norway. This is due to the rich fishing grounds that abound along the country’s 1,500 kilometre-long coastline, whose marine produce is harvested by a flourishing fishing and fish-processing industry. Namibia's main export partners are USA, Angola, Netherlands, Spain, South Africa, United Kingdom. Namibia's economy is tied closely to South Africa's due to their shared history. The largest economic sectors are mining, agriculture, manufacturing, and tourism. Namibia is party to the WTO Agreement on Import Licensing, and as such, its import and export management regime has to be gradually made compatible with the WTO parameters on import controls. In 2013 Namibia was named the top emerging market economy in Africa and the 13th best in the world. Only four African countries made the Top 20 Emerging Markets list, and Namibia was rated ahead of Morocco, South Africa and Zambia. About half of the population depends on agriculture (largely subsistence agriculture) for its livelihood, but Namibia must still import some of its food. Namibia's main import partners are South Africa, Netherlands, United Kingdom, China, India. 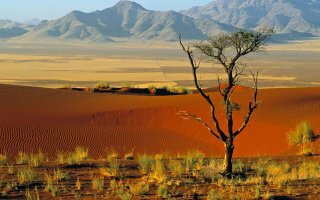 Namibia, a country in southwest Africa, is distinguished by the Namib desert along the Atlantic Ocean coast. The country is home to diverse wildlife, including a significant cheetah population. It shares land borders with Zambia and Angola to the north, Botswana to the east and South Africa to the south and east. It gained independence from South Africa in 1990, following the Namibian War of Independence. Its capital and largest city is Windhoek. 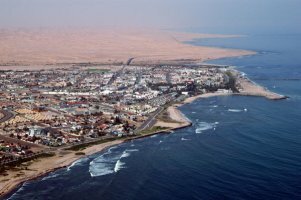 Namibia is a member state of the United Nations (UN), the Southern African Development Community (SADC), the African Union (AU), and the Commonwealth of Nations. Namibia, being a member of the Southern African Customs Union (SACU) is obliged to apply a SACU-wide import and export management regime. All cross-border movement of goods are subject to a general import and export licensing system, which is largely automatic. The Ministry of Trade and Industry is the first entry point for enquiries regarding import and export licensing, but other public agencies are also involved depending on the type of product being imported or exported. - Certificate / Certificate A has been issued by the relevant Embassy and stamped by the Ministry of Foreign Affairs. - Returning residents must have lived abroad for 6 consecutive months to qualify for the duty free importation of household goods and personal effects. - If the Residence Permit / Work Permit is not stamped in the Passport upon arrival of the shipment, or if the exemption of taxes is not granted, the shipper has the possibility of releasing the cargo by making a refundable, provisional payment of 20% duties and 16.5% taxes. Exporting a standard container of goods requires 8 documents, takes 24 days and costs about $1650. Importing the same container of goods requires 7 documents, takes 20 days and costs about $1805.